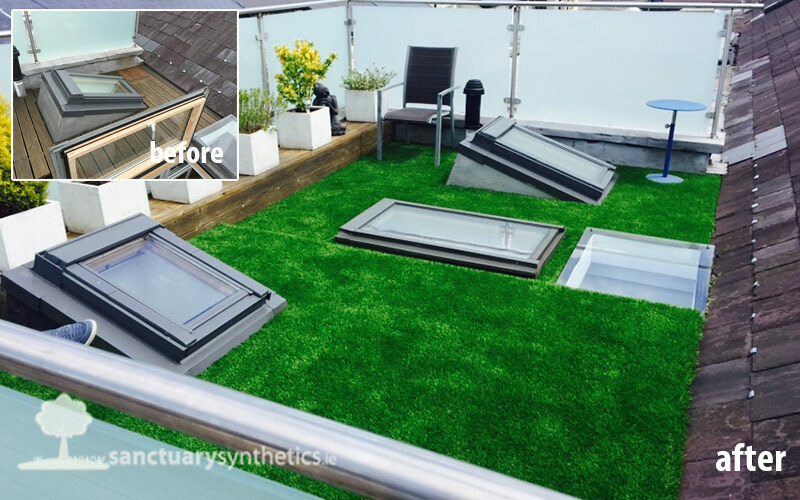 Front gardens, back gardens, dog runs, decks, balconies, rooftops, business & retail …. 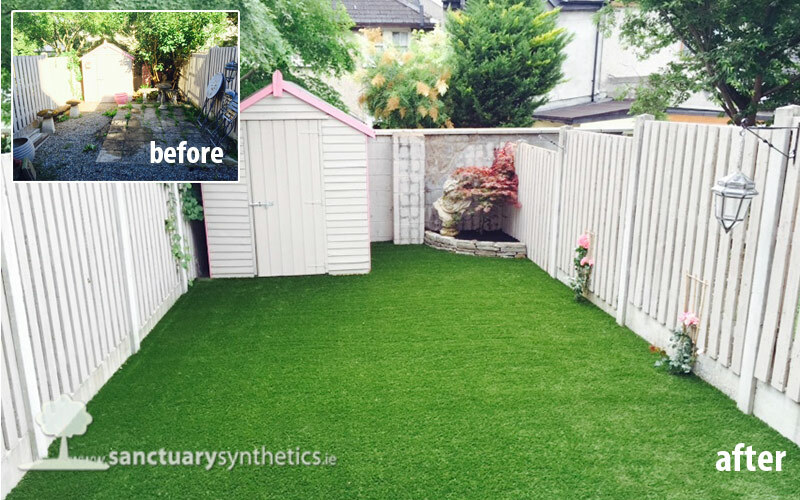 Sanctuary Synthetics have been transforming gardens across Ireland for over 15 years, with over 4,000 domestic customers now benefitting from our beautiful grass lawns. 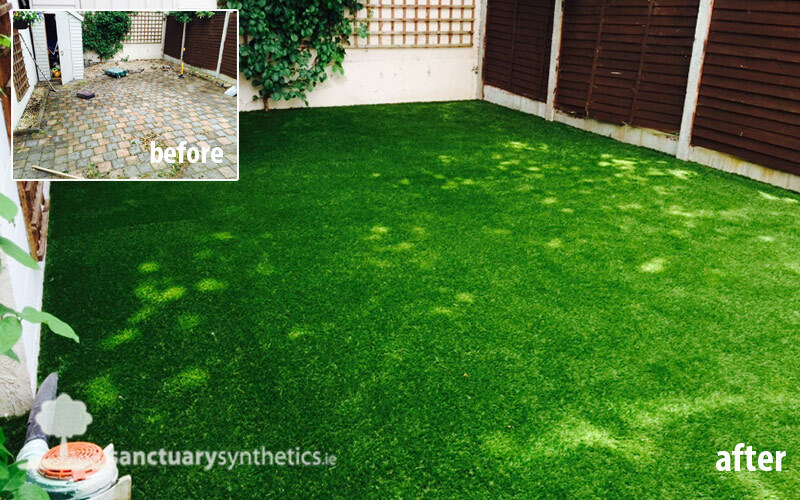 Extremely versatile, our grasses are durable, guaranteed long-life, non-slip, pet friendly, and most importantly – look amazing! 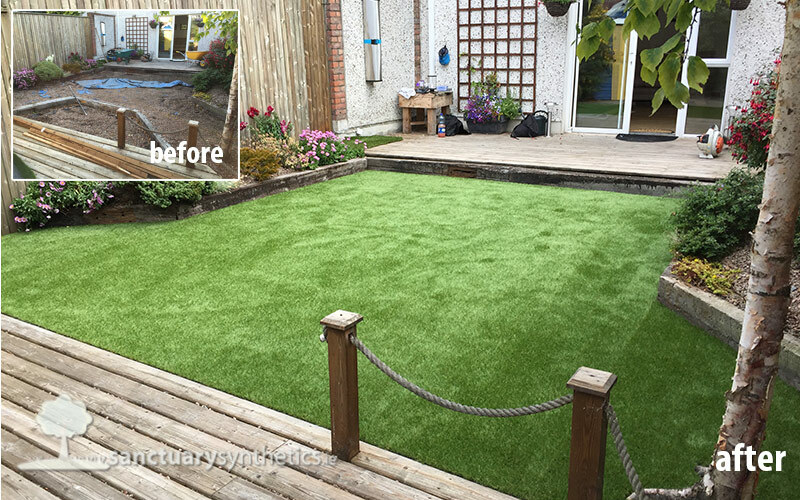 Multipurpose – as well as lawns, our grass is also used for dog runs, over slippy decks, old patios, rooftops & balconies, home putting greens, retail & commercial, special needs, graves & memorials, and much more. 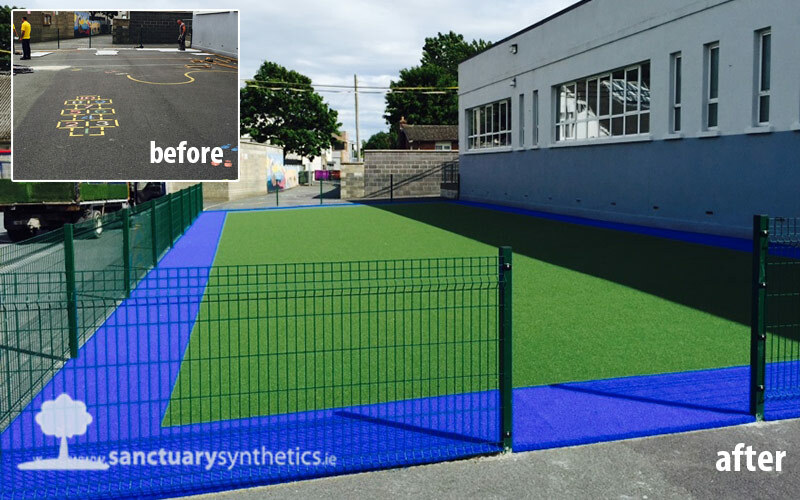 Happy children and pets, free to run and play! 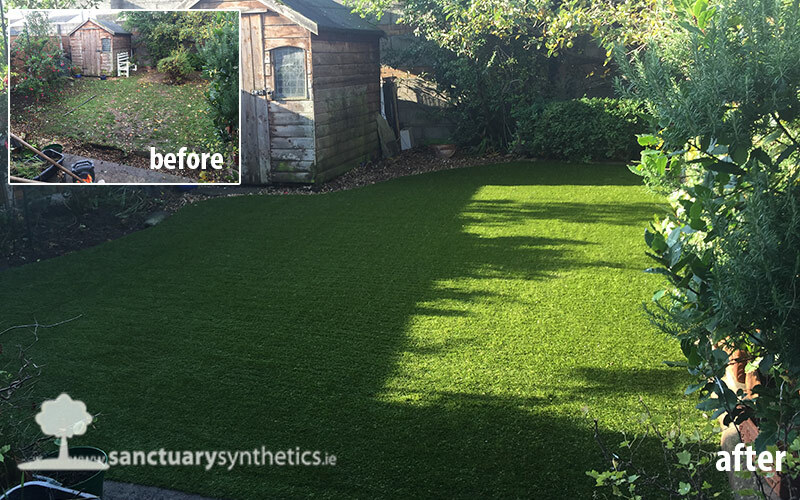 Are you constantly being asked for a low maintenance gardens? 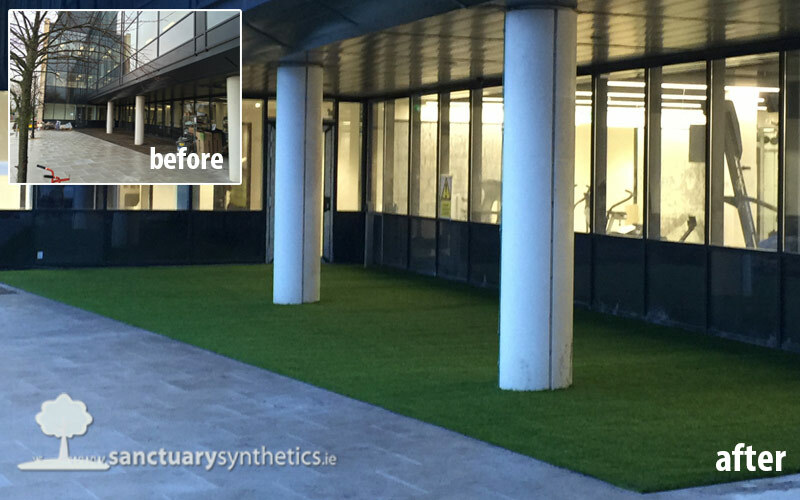 We are confident we have the right grass and the right solution for you. 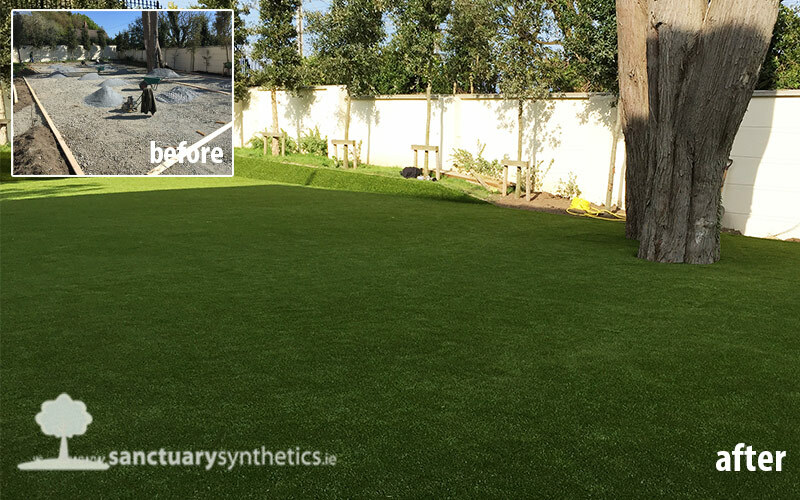 We love doing new things so hit us with your problem and we’ll do our best to provide a synthetic grass solution. To get a quotation, simply fill in your details in the contact box at any stage, click the button and we’ll take care of the rest! Did you know what you get with a quotation?